It was only a rumor a few days ago, and now it is official. Samsung Galaxy S III will be available in Canada on June 20. There will be two versions of the Android powerhouse - the LTE sporting SGH-i747 and the 42 Mbps HSPA+ flavored SGH-iT999. The former will hit Bell Mobility, Virgin Mobile, SaskTel, TELUS and Rogers Wireless, while the iT999 will be available on Videotron, Wind and Mobilicity. Pricing is yet to be announced. As we suspected, the handset has gone through a slight change of character in order to play nice with the speedy networks across the Atlantic. 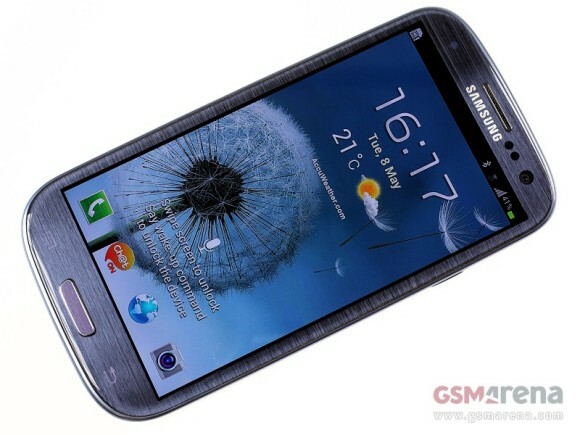 Both Galaxy S III versions will pack a Qualcomm Snapdragon MSM8960 chipset with two Krait CPU cores, clocked at 1.5GHz. RAM memory has been bumped up to two gigs as well - just like in the case of the Japanese version for NTT Docomo. The LTE version will come with a choice of 16 or 32 gigabytes of built-in memory, while the HSPA+ one will have to make do with a 16GB flavor only. The rest of the specs are identical to the ones found in the I9300. Given Samsung's previous record of North American launches, we can reasonably expect that the US variations of the smartphone will have similar specifications. We are still to hear about them though.